Sigil (Banner) – One of the wealthiest families in the realm, the Lannister’s owe their vast fortune to the highly productive gold mines which lie beneath Casterly Rock. The stately lion and it’s golden color are a perfect banner for this royal family. Wine – In Earthly heraldry, the image of a lion raised on his hind legs (lions rampant) represents royalty, valor, and bravery. In 1934, the lions rampant was chosen by King George V to adorn the Royal Banner of Scotland as a symbol of loyalty. 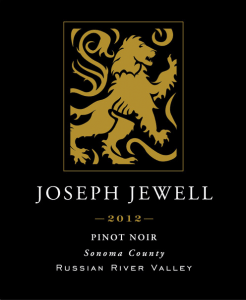 Honoring their Scottish heritage, garage winemakers from the Russian River Valley, Micah (Joseph) Wirth and Adrian (Jewell) Manspeaker, chose the lions rampant as the central feature of their Joseph Jewell Wines label. Sigil – With claims to the Iron Throne and relatives who are eager to fight for it, House Baratheon honor the powerful Stag as their central figure and sigil. Wine(s) – For this, look no further than Napa Valley‘s tiny but mighty AVA – Stag’s Leap Wine District. Legend has it that the region was named for a lowly stag who leaped to freedom from his pursuing hunters. 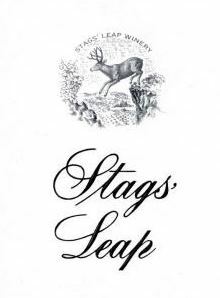 Regardless of it’s origin, the district features two wineries who share the district name along with an label featuring a stag – the older Stags’ Leap Winery and celebrated Stag’s Leap Wine Cellars. (If confused, note the apostrophe!) 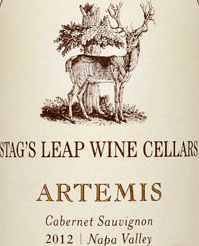 As for it’s history, the district was thrust into the limelight in 1976, when a 1973 Cabernet Sauvignon from Stag’s Leap Wine Cellars beat out high-end Bordeauxs and took home first place in the infamous blind tasting in Paris. Sigil – Known to have a special connection to and governance over dragons, House Targaryen has had a history of using their power over these great creatures to further their worldly conquests. Wine – With the finest grapes in hand and hopes of building a new brand, Fred Schrader turned to his graphic designer / wife for guidance and vision in creating a new label of significance. From here, “Old Sparky” was born. 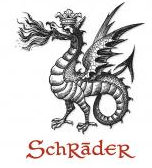 This powerful dragon represents the best that Schrader Cellars has to offer with the brand being sourced from the finest barrel lots in their Beckstoffer to Kalon vineyard. Just like the respect given to a creature of this size and stature, Schrader’s 100-pt wine can only be found in the larger magnum bottle. Sigil – Cruelty has no boundaries when it comes to House Bolton. Known all over the land for utilizing an old practice of flaying (skin peeling), the Boltons show no mercy to those who oppose their rule – either dead or alive. Appropriately, their house banner is a flayed man upside down on a cross. Wine – Finding a wine that best represents the strange practices of House Bolton was no easy feat, so we took it down a notch from flaying to imprisonment. Naturally, The Prisoner Wine Company became the perfect choice. Winemaker David Phinney is known for going beyond convention to create unique wines with a cult following. At the age of 12, his art-loving parents gave him an etching from Spanish artist Francisco Jose de Goya entitled “La Petite Prisonier”. He so loved this piece of art, that it went on to become both the inspiration for his new brand and, in the end, it’s label. Sigil – Calling the harsh and desolate Iron Islands home, House Greyjoy are the true “pirates” of the story. Robbing and plundering their shoreline neighbors to get by, this sea savvy fleet of ruffians hoists a flag featuring the deadly kraken. Wine(s) – Believing that mother nature is the true farmer, Santa Barbara winemaker / agriculturist Rob Murray created the “Force of Nature” series of wines. Each varietal features either a natural or a mythical force. 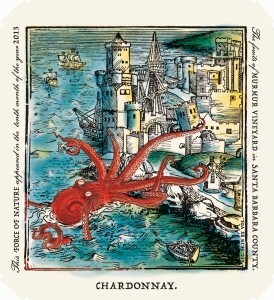 The larger-than-life kraken on his Chardonnay can be seen terrorizing a seaside city – just as House Greyjoy would have done. Sigil – Fiercely loyal to their companions, the direwolf is a intimidating symbol for the members of honorable House Stark. Just like the extinct dire wolves from North America, Martin’s direwolves were built to withstand the long, cold winters of the north. If House Stark’s motto rings true “Winter is (truly) coming”. 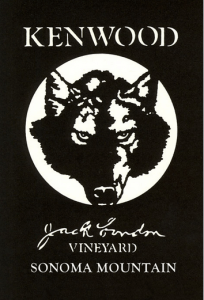 Wine – Kenwood’s Jack London label alone is enough reason enough for this to be THE wine for House Stark. However, there’s more to the story to further backup this claim. Just like the members of House Stark, Jack London was a man who was quick to defend the underdog and right injustices. His grand estate and farm in Sonoma became the perfect backdrop for his writings. It was here that he penned the infamous White Fang, a novel told from the perspective of a wolf-dog and his journey to domestication. Kenwood Vineyards has the honor of being the only winery to produce wines from this treasured land, and London’s character adorning the label. Sigil – Lording over the expansive farmland surrounding Castle Highgarden and therefore most of the food in the realm, House Tyrell plays their hand in politics any chance they get. With royal ambitions and knowledge of the land, the golden rose is befittingly the central piece of their banner. 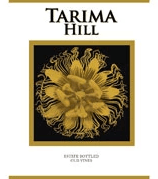 Wine – Chosen for it’s beauty and intricate detail, the passion fruit flower adorns Bodegas Volver’s Tarima Hill label. Although not the regal rose, this label was chosen for two reasons – for it’s golden and therefore stately color and for it’s mesmerizing allure. Both qualities found in members of House Tyrell! Sigil – Ruled by the strong-willed House Martell, the arid region of Dorne rests at the southernmost point of Westeros. Their Sunspear castle is aptly named after their sigil, an image of a sun with a spear through it. This image was created as representative of the long ago union between a great warrior princess and the nobleman Mors Martel. 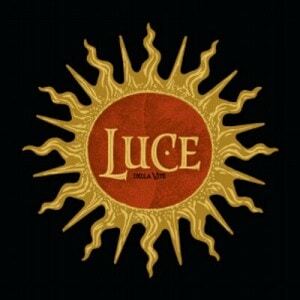 Wine – A similarly great union came together to form the Luce Della Vite wine label. For the first time, a Tuscan powerhouse (Vittorio Frescobaldi) joined forces with a Napa Valley icon (Robert Mondavi) to create a one-of-a-kind Italian experience. For their new label, they found inspiration within the nearby Santo Spirito church in Florence. A centuries-old altar image inside features a radiant sun with 12 spires. Sigil – Perched high atop a peak on the east coast of Westeros, the Erie is House Arryn’s principle stronghold. Virtually impossible to penetrate due to it’s natural defenses, House Arryn can safely fly their banner featuring a soaring falcon and a crescent moon. 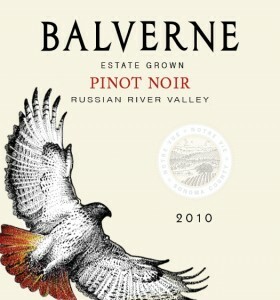 Wine– Along California’s Russian River Valley, the red-tailed hawk can be seen soaring high over great vineyards of Pinot Noir and Chardonnay. Looking to capture the essence of the land, Windsor Oaks Vineyards brought back to life the estate’s Balverne wine which had received national acclaim in the 1980’s. 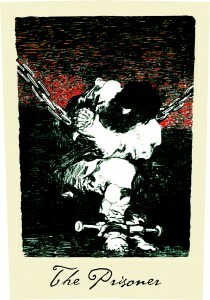 For the label, they turned to local Sonoma artist Bob Johnson and an image of the red-tailed hawk. Sigil – Technically not one of the Seven Kingdoms, the Riverlands central location and surrounding rivers have always played host to nearby rulers travelling through. The Tully’s lord over this borderland region, and look to the leaping trout for both their food source and house banner. Wine – The various rivers along the northern California coastline are known for their steelhead trout. 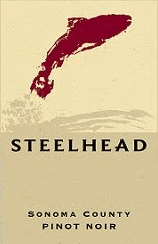 Sourcing grapes from all over this river region, Steelhead Vineyards sought to honor the unique fish by proudly supporting water conservation efforts in the area to protect it’s natural habitat. crossing over a great central river. One of the only passages between North and South, the two towers and bridge easily became the icon for Frey’s populous and prosperous family. Wine – Just like House Frey, Les Forts de Latour is overshadowed by a closely related first growth Bordeaux. 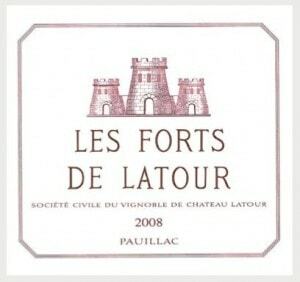 Technically the second label for the infamous Chateau Latour, the wines for Les Forts de Latour are produced using the same care and method as it’s grand cru sibling. This attention to detail has produced wines of superior status, thus transforming this lowly 2nd label to a top Medoc classified growth. The site of the estate had once be occupied by a miltary fort which burned down during the Hundred Years War. As a military order, the Knight’s Watch has no sigil and no status of which to speak. They are charged with defending the realm from the all that lies north of the Wall. Dressing entirely in black, their Wildling enemies have given them the nickname “Crows”. 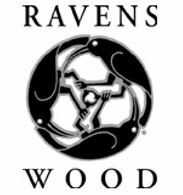 Wine – Winemaker Joel Peterson envisioned three ravens adorning his California wine, Ravenswood. Crows and ravens are often mistaken for each other based on their strikingly similar characteristics and behaviors. Though not a crow, the triskelion of three black ravens on the Ravenswood label seemed like the best fit for this order. Just like ravens who circle high over the grape vines, so do the Knight’s Watch band together high atop the Wall to look over the realm. Food & Wine: Celebrate International Italian Cuisine Day With Wine and Risotto!